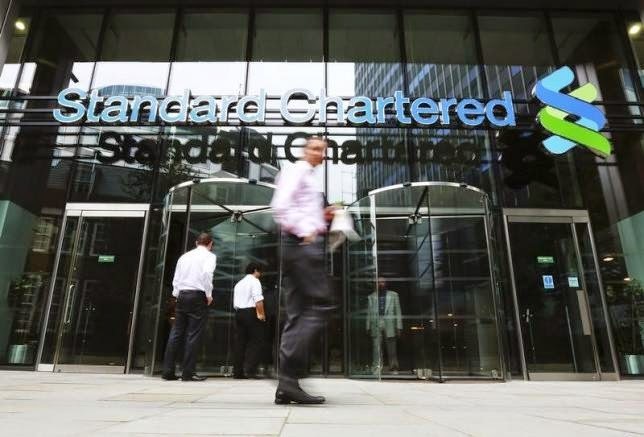 Standard Chartered has appointed Iain Lobban to its new financial crime committee to bolster its cyber defence strategy. The former head of Britain’s security and intelligence body, GCHQ, will become a member and senior advisor to the committee. Lobban will be responsible for matters including anti-money laundering, sanctions compliance and prevention of corruption. Lobban was director of the UK’s electronic intelligence gathering agency from mid-2008 to late 2014 and Standard Chartered said cybersecurity had been at the heart of Lobban's role in recent years. Cyber criminals pose a rising threat to businesses across the UK. Businesses are being targeted by increasingly sophisticated criminals trying to steal money, client data or innovative ideas, score political points or to simply cause havoc. Many companies make the mistake of thinking their greatest risks are external ones like burglary or flooding — they underestimate the danger of internal failures in data security and data protection. Standard Chartered announced the committee a day after U.S authorities extended monitoring of the bank, which follows the institution’s $667 million fine in 2012 over violations related to U.S sanctions. As cyber attacks are becoming more frequent, it’s advised that businesses take precautions to combat these attacks. We offer SMEs across the UK industry-leading solutions designed to solve mainstream IT problems spanning over three distinct markets: data storage, data protection and disaster recovery. Our solutions combat crime and improve conduct and compliance capabilities. To make sure your organisation is compliant with all data security and data protection regulations, have our experts carry out an on-site review. To talk to us about your options, call 0208 663 4000 or contact us via our website. 360ict provides managed IT services and support for SMEs in central London and the south-east, including London Victoria, Euston, Croydon and Bromley. The general population of the UK take the great choice and it is the privilege of the general population to dismiss the standards of the European Union and custom thesis help me to find useful stuff. I know this choice is exceptionally intense and diminish the economy of the UK. On the off chance that this choice will demonstrate great, UK will again emerge on the planet.